If you’re in the market for a new M3 sedan, BMW has just announced a limited edition M3 Carbon Racing Technologies Lightweight Sedan. 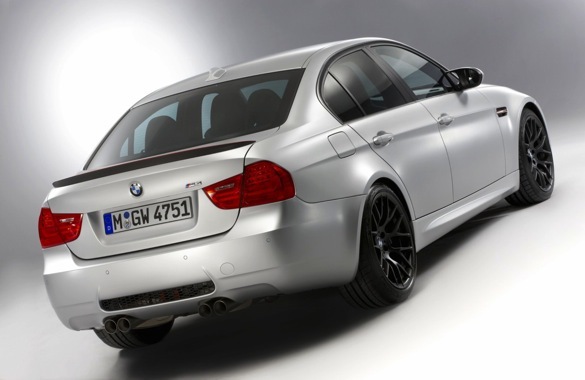 Tipping the scales at 3,483 pounds, the four-door M3 packs 450 horsepower and 324 foot-pounds of torque from its 4.3-liter V-8, which should make acceleration “spirited.” Thats the good news, so here’s the bad: only 67 copies will be built, they’ll sell for the equivalent of $185,000 in Germany (but that does include the VAT) and there’s no word yet on whether or not we’ll get any on this side of the pond. 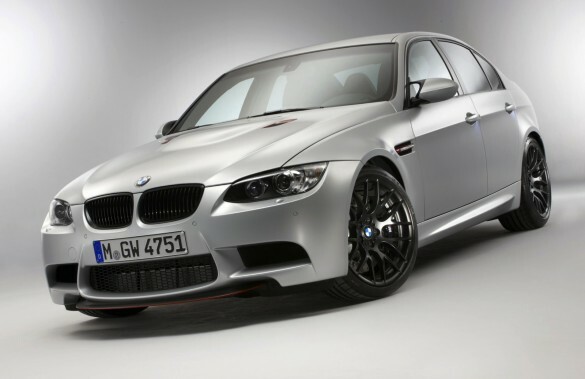 The M3 CRT represents the first production use of a new carbon fiber reinforced plastic (CFRP) manufacturing process, and the material is used extensively throughout the car. The hood, for example, consists of two CFRP moldings, sandwiching a layer of aramid honeycomb. 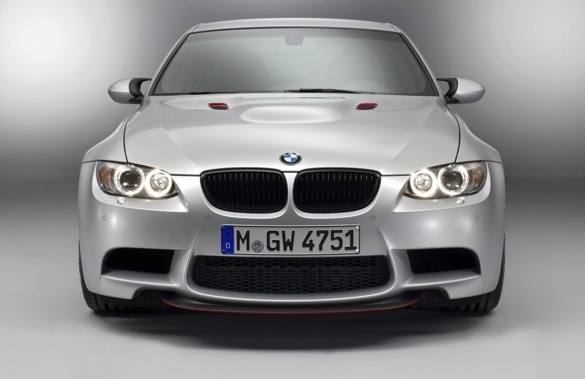 The resulting product has the strength of steel at one quarter its weight; in fact, the CFRP and aramid hood is even fifty percent lighter than an aluminum hood would be. 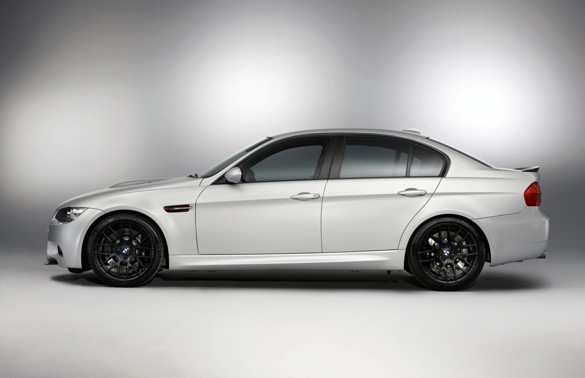 If you’re lucky enough to land one, your choice of color is limited to Frozen Polar Silver metallic, and it comes with any gearbox you want as long as it’s BMW’s M DCT dual-clutch automatic. 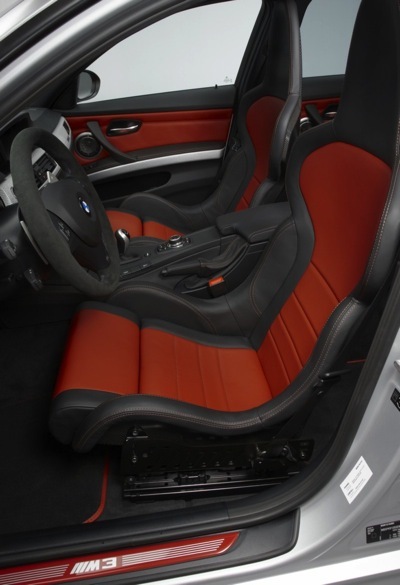 To designate the M3 CRT, Melbourne Red paint is used to trim the hood vents and M side vents, and the interior is a blend of black and Sakir Orange. Subtle it’s not, but I’m sure BMW’s designers know what customers want. BMW isn’t saying when the cars will go on sale or exactly which markets will be getting them. We’ll let you know if any copies are destined for the United States.